Charter takeovers of a handful of low-performing schools in North Carolina are set to begin with the 2018-2019 school year, The News & Observer reports. The takeovers will be part of the former achievement school district, recently renamed the “Innovative School District” by state lawmakers. Cleared in 2016, the controversial plan would allow for-profit charter operators and education management organizations to assume control of struggling schools chosen by the State Board of Education. As Policy Watch has reported, the program was a favorite of GOP lawmakers and school choice advocates, despite middling results in states like Louisiana and Tennessee that attempted similar initiatives. 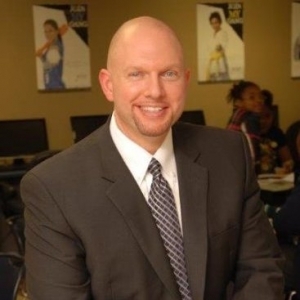 Read Policy Watch’s Q&A with the district’s superintendent, Eric Hall, here. Eric Hall, the district’s superintendent, launched the program on Thursday by laying out a timeline in which at least two schools will join for the 2018-19 school year and up to three more schools will join in 2019. The new district has come under fire from critics, including many Democratic state lawmakers and the N.C. Association of Educators, who have questioned turning public schools over to education management organizations and charter management organizations. Hall stressed Thursday that the district is about partnering with local communities to provide a better education for students. Eric Hall, superintendent of the new N.C. Innovative School District, says communities should embrace and not be afraid of a new program to turn five low-performing elementary schools to charter school operators. The legislature passed a law last year creating the state takeover of five schools, making North Carolina one of several states to try the achievement district model. In Tennessee, students in Achievement District Schools have not done better academically than students in comparable low-performing schools that weren’t taken over. Hall acknowledged the “mixed results” in other states but said North Carolina has a chance to successfully re-imagine the model. Hall laid out six phases for implementing the new district. In the first phase, he will release in September a list of elementary schools that qualify for inclusion in the program. Schools will be eligible if they score in the lowest 5 percent of student performance. The schools in the district are supposed to be from around the state and represent both urban and rural areas. “We need to have a cross-section of schools,” Hall said. Hall will recommend by October which schools to be put in the program. The State Board of Education will vote by Dec. 15 on at least two schools that will be taken over in the 2018-19 school year. At the same time, Hall will review the management companies that will be selected by the State Board to run the district’s schools. The companies would run the schools for five to eight years. School boards will have until Feb. 1 to either transfer their schools to the program or to close them. In return for giving up the schools, districts would be able to operate some or all of their remaining low-performing schools with the same flexibility given charter schools. The concept is called i-Zones, or innovation zones. “While the Innovative Schools are one strategy, the strategy to me that can impact a whole lot more schools is the Innovation Zone,” Hall said. But Hall acknowledged the new district will create challenges for communities that he will try to mitigate. State Board members praised Hall Thursday for his plan.